Thanks Variety for our new ‘Sunshine Coach’! “Val”, who arrived on Valentine’s Day, is our spectacular new Sunshine Coach from Variety – The Children’s Charity! 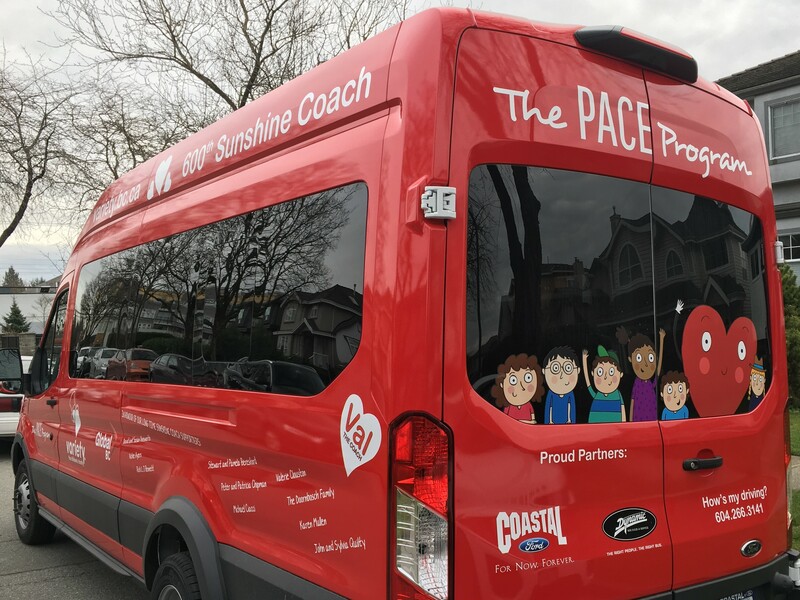 We are deeply honoured to be the recipient of the 600th Sunshine Coach from Variety. We want to acknowledge what pleasure it has been to partner with Variety, Global BC and Coastal Ford. With much appreciation for their caring, collaboration and thoughtfulness. Thank you Variety for your dedication and commitment to enhancing the lives of children and families!! CARF Survey – May 10 & 11, 2018! Reach out to find out how we can help.